Average Leaf Dimensions: 22in. x 9in. The 1LS Connecticut Broadleaf is a popular middle tone wrapper, with a mellow tan on the outer leaf and a softer/darker tone on the inside. Connecticut’s 1LS Broadleaf is medium in strength and tone. A slightly delicate leaf but if handled carefully it has decent elasticity. It’s best to prepare/moisten with a damp towel but if you must spray, give it two days in a plastic bag to even out the moisture throughout the leaf. This Connecticut Broadleaf has a smooth, bold and clean tasting filler, with strong but not overpowering smoke. As a binder it has a moderate elasticity, make sure to give proper time for the inner leaf & outer surface to hydrate. The 1LS Connecticut Broadleaf is excellent as a wrapper, and burns clean white ash. Interested in purchasing a quantity of 1LS Connecticut Broadleaf at the incredible prices listed below? Contact us to set up your order today! We have a full selection of beautiful broadleaf that can be used as cigar wrapper or binder! 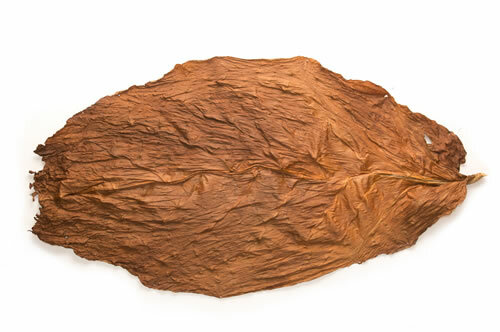 The medium Connecticut broadleaf is similar to Maduro thanks to it's dark texture, and it is also larger and thinner at the same time. 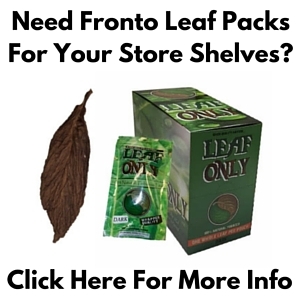 The QB52 Fronto Leaf (L) is a darker version of the standard QB52 tobacco leaf. This kind of broadleaf is very tough to find at an affordable price, grab it at these rock bottom prices while you can! The Havana #7 CT Broadleaf is known for it's light color and fresh appearance. It is also quite large! The 1LS Connecticut Broadleaf is one of our most popular middle tone wrapper leaves.